New players should find it very easy to make Gala Bingo deposits and withdrawals. Note that you always have to deposit/withdraw a minimum amount of money. Making Gala Bingo deposits and withdrawals is very easy to do. Follow a few straightforward steps to carry out these transactions. Once you’ve made your first Gala Bingo deposit, you’ll be eligible for the welcome bonus (New customers only / +18 / T&C apply) when using the promo code. The table below covers the different options you have for making Gala Bingo deposits. The table below will look at the different options for making Gala Bingo withdrawals, as well as a few details about them. Are payments secure at this bingo site? All Gala Bingo payments are very secure since the site is regulated and licensed by the Gambling Commission. The operator uses Secure Sockets Layer (“SSL”) technology to encrypt data. All player information and data is stored in a password-protected secure network protected by a state-of-the-art firewall. Gala Bingo’s UK services are regulated and licensed by the Gambling Commission. The currencies available at Gala Bingo are the UK pound and the euro. 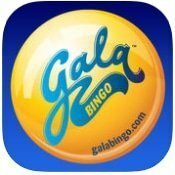 Gala Bingo allows players to set deposit limits that will limit how much they can deposit by day, week or month. You can set deposit limits when registering your account, or if you’ve already created your account, you can set them in the My Account or Cashier sections. Deposit limits may be decreased at any time. If you want to increase them, there’s a 24-hour ‘cooling off’ period, after which you’ll be asked to confirm your request for an increase. These deposit limits are there to prevent people with gambling problems from spending too much money. All new players need to have their account verified to ensure they’re over 18 and that their supplied address is correct. Gala Bingo may therefore ask for proof of identity or proof of address. If Gala Bingo requests documentation from you, you can send it to them by email or post. To verify your date of birth, Gala Bingo will request a complete copy of any one of the following: your birth certificate, your passport (with the passport number shown at the bottom of the page), your driver’s licence or another form of photo ID. All forms of ID must be valid. To verify your address, Gala Bingo will request a complete copy of any one of the following: your bank/savings account statement, your credit/store card statement, your driver’s licence, your mortgage statement, a utility bill, your mobile phone statement, a P60 or a HMRC Awards letter. If you’re sending in a copy of your bank/savings account or credit/store card statement, you’re advised to only show the first six and last four digits of your card/account number. All documents must be dated within the last three months. If you haven’t received your Gala Bingo withdrawal and think it’s overdue, check your card details are correct and also check which payment method you used. Different payment methods have different withdrawal times, so it may be that you simply need to wait a bit longer before your withdrawal will arrive. If you’ve checked the withdrawal times and you’ve found your withdrawal should have come to you by now but hasn’t, you should get in touch with a member of customer service. They should be able to get things sorted and see that your money gets to you as soon as possible. You can cancel your Gala Bingo withdrawal so long as it hasn’t been processed yet. To cancel it, simply click on the My Account link, which you’ll find at the top of the page. Then click on Withdraw and you should see your pending payments. You will see your recent withdrawals and if any can still be cancelled, you’ll see a Cancel link next to them. Click on this to cancel the withdrawal. The funds should then be returned to your Gala Bingo account for you to continue spending on games. If any of your withdrawals is not listed as Pending or doesn’t have a Cancel link next to it, you won’t be able to cancel it. Gala Bingo has three contact methods available: phone, email and live chat. Finding these on the website is a bit more difficult than it should be. This is because you’ll only see them once you’ve been to the Help Centre, sifted through the questions and answers by choosing two categories, and then clicked No beneath Did These Answers Help You? Only once you’ve done all that will you get to see the contact details. As for the contact methods, no opening times or response times are listed for any of them. Customer service at Gala Bingo could be improved by having contact details more easily accessible and by supplying opening times. See our full Gala Bingo review here.